Gas propane burner pipes are used in barbecues to allow the flow of gas to exit holes within the pipe, causing the subsequent flame to barbecue the food. The pipes can be made from standard 3/4-inch steel gas supply pipe, which comes in various lengths. Holes are drilled through one side of the pipe to allow gas to escape, which can be created with different diameter drill bits to allow for the desired size of flame. 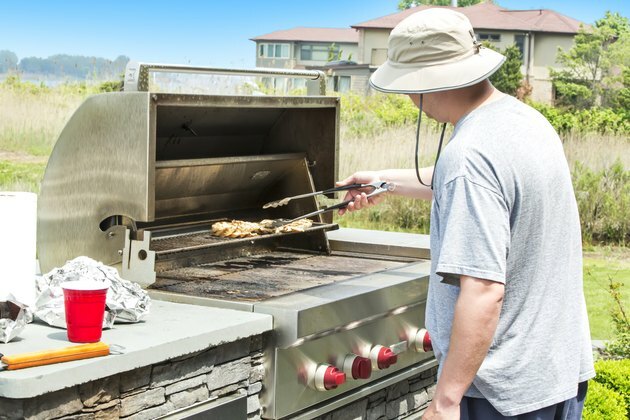 A DIY propane burner can be assembled with a few materials and installed in a barbecue to allow the gas to light a flame below the grill rack. Always follow safety precautions when lighting propane gas in order to avoid explosions or out-of-control flames. 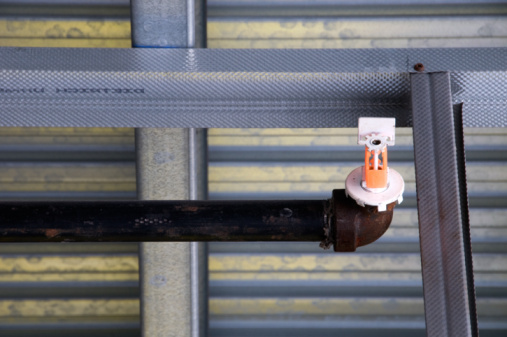 Purchase the correct length of 3/4-inch steep gas pipe to fit the homemade propane burner. Make sure the pipe is factory-threaded at both ends. Place a strip of insulation or duct tape along each side of the pipe and tighten the pipe horizontally in a vise (the tape will rest against the vise jaws and prevent scratching). 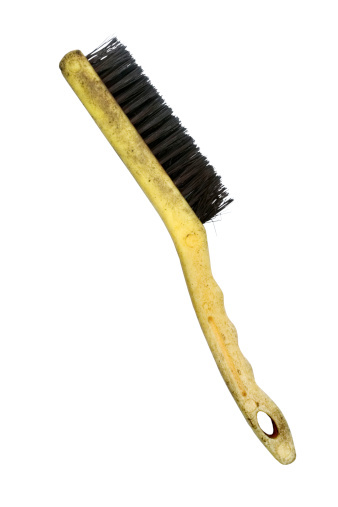 Clean both end threads using a steel brush. Use a small brush to apply threading compound around the thread on one end of the pipe. Screw on a steel end cap to the thread by hand. Tighten it in place using a pipe wrench. Measure a series of marks in a straight line along the top of the pipe. The number of marks corresponds to the number of gas holes desired in the pipe. Rest the end of a center punch on each mark and tap the other end of the punch with a hammer. This creates small notches in the pipe so the holes can be more easily drilled. Rest the tip of a 3/16-inch steel drill bit in each notch and drill holes through one side of the pipe. Place the tip of a reamer into each hole and turn it a couple of times to remove any small metal burrs. Loosen the vise, remove the pipe and pull off the tape from the sides. To install the gas pipe on a barbecue, apply threading compound to the thread on the remaining end of the gas pipe and screw on a steel coupling. Tighten the coupling in place with the wrench. Thread the coupling onto the gas supply line on one side of the barbecue, making sure the holes on the pipe face up. Again, tighten it in place with the wrench. These connections need to be tight in order to avoid gas leaks.